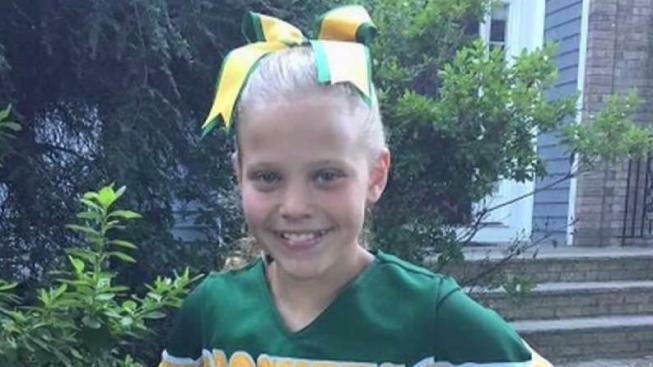 Mallory Grossman's former gymnastics coach remembered her as "sweet, smart, kind, quiet"
A community in New Jersey has been rocked by the possible suicide of a 12-year-old girl. Friends say she was bullied. Lori Bordonaro reports. Students of Copeland Middle School were wearing light blue clothing on Monday — a message to stop bullying, and a tribute to a 12-year-old student who died last week. Friends say Rockaway Township, New Jersey, cheerleader Mallory Grossman took her own life last week after being bullied. The Morris County Prosecutor's Office says Grossman’s death is under investigation. Family and friends told News 4 the young girl’s mother complained to her school about the alleged bullying the very day she died, and posts on Facebook suggest she may have been bullied on Snapchat. Grossman’s former gymnastics coach remembered her as a good student and athlete who was popular among her peers. “Wonderful child – sweet, smart, kind, quiet,” coach Paula Gehman said. According to her obituary, Grossman loved the outdoors and would often donate her own money and handmade jewelry for sick children. The school’s superintendent would not comment Monday, but the school district’s website says last year's anti-bullying assessment of Rockaway Township indicates strengths in the areas of curriculum and instruction, investigation procedures, and incident reporting. A GoFundMe page set up for Grossman’s family has raised more than $65,000 to help with funeral expenses. Grossman will be laid to rest Tuesday.